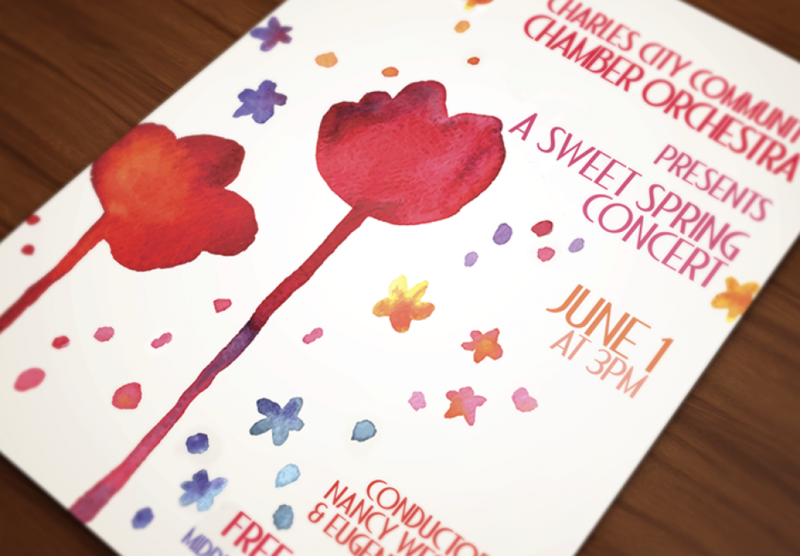 Another poster for the Charles City Chamber Orchestra. 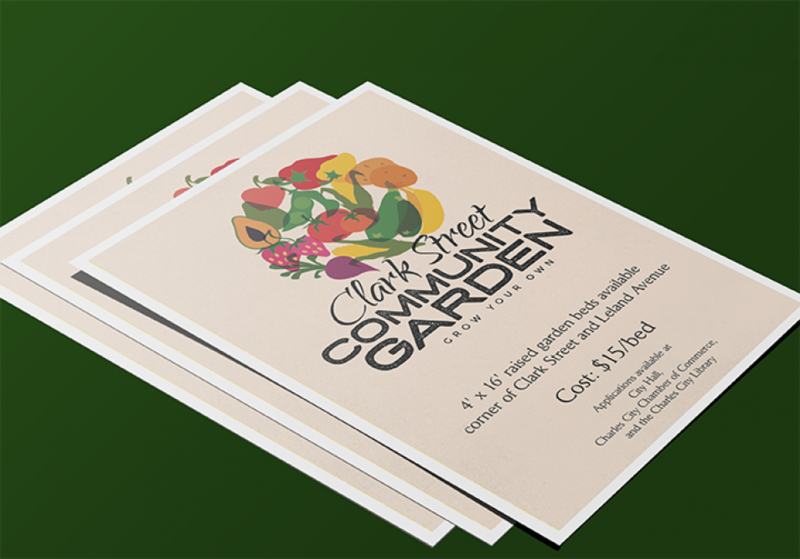 This season’s poster we chose to use a stylized watercolor image of spring flowers. 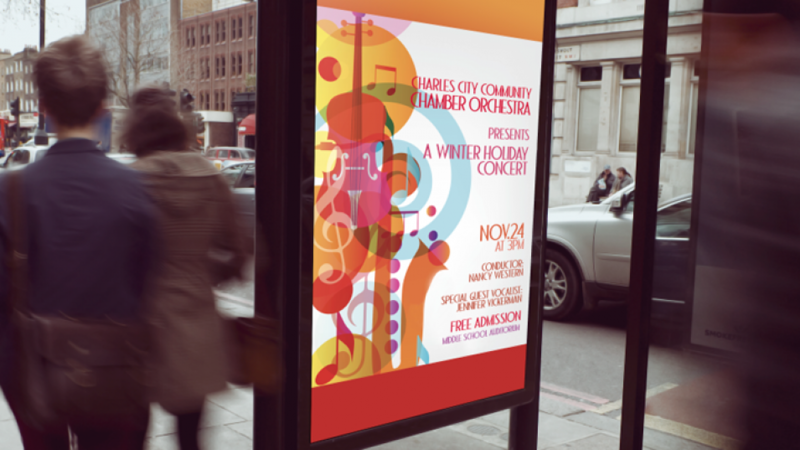 The first of many posters to promote the Charles City Community Chamber Orchestra. 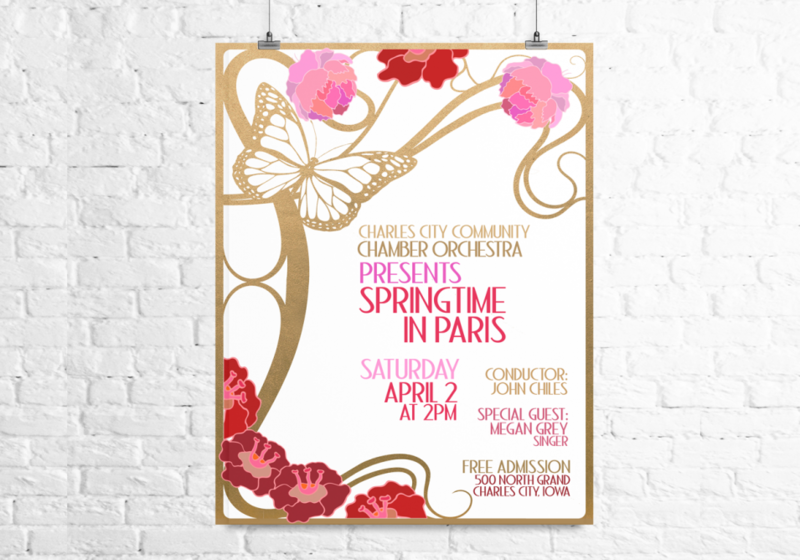 Local musicians getting together to celebrate orchestral music. Glad we can be a part of it.